A must-rent for daytime events and date nights, the Sanguine Skirt by C/MEO Collective will be your new staple this season! 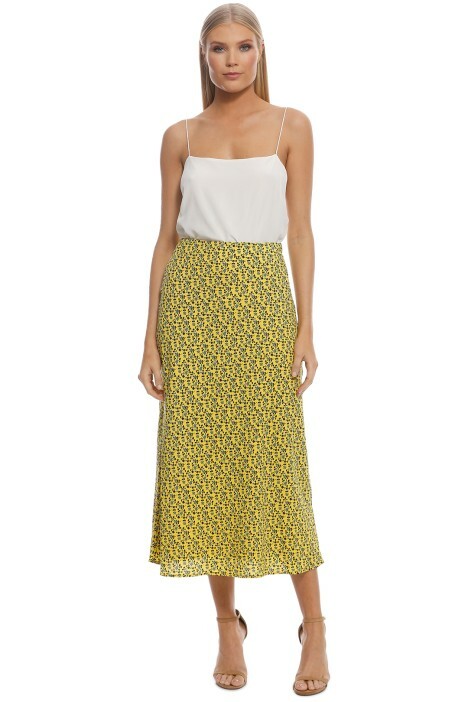 Accented with a dainty yellow floral print, the midi skirt has a high waist and a flowy silhouette. Channel off-duty daytime chic and style the skirt with an oversized tie-front shirt and a rose gold mesh clutch that’s available for rent. Head over to our blog for our designer series on C/MEO Collective! Pair this feminine skirt with a white tank or try Lucca Cami from ELKA COLLECTIVE.